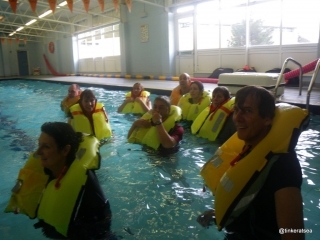 Level 2 Clipper Race training started bright and early on a Saturday morning with an RYA Sea Survival course. 17 people from all over the world gathered in a college classroom to learn the basics of what to do in the event of an emergency at sea, the ultimate emergency being the loss of the yacht. 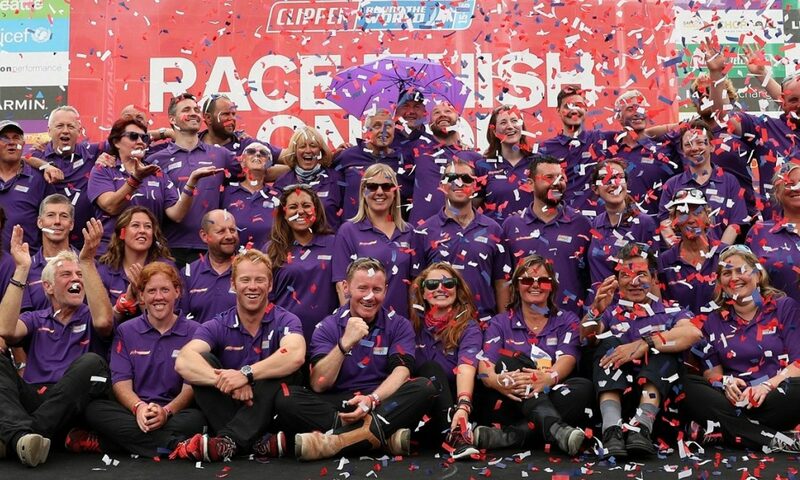 Although this is not a common occurence, it has happened in a previous race, when the Cork Clipper yacht was holed by a rock near Java in 2010. Whilst we were all hoping that we never have to call on the knowledge gained during this course, if things do go wrong then it is better to have some knowledge of what emergency equipment is available onboard and how to use it than setting out to sea in blissful ignorance. The great thing about the course was that it was tailored for us and the equipment and liferafts that will be on our new Clipper 70’s were used during the course so that we have first hand knowledge of how to use them. There were a number of sessions in the morning covering the theory of survival at sea, including the principles of survival (“You are only a survivor when you have been rescued and are sitting in a bar drinking a pint of whiskey”), survival equipment such as lifejackets, flares, liferafts and how to use them, first aid and rescue equipment like EPIRBs and SARTs. The instructors running the course were great, managing to pass on the required information to us whilst keeping the mood of the room light. We were all paying close attention to what was being said, as there was a practical element to the course and we would be spending the afternoon in a swimming pool putting the theory into practise! And if we hadn’t had enough fun by this point, more was to come. 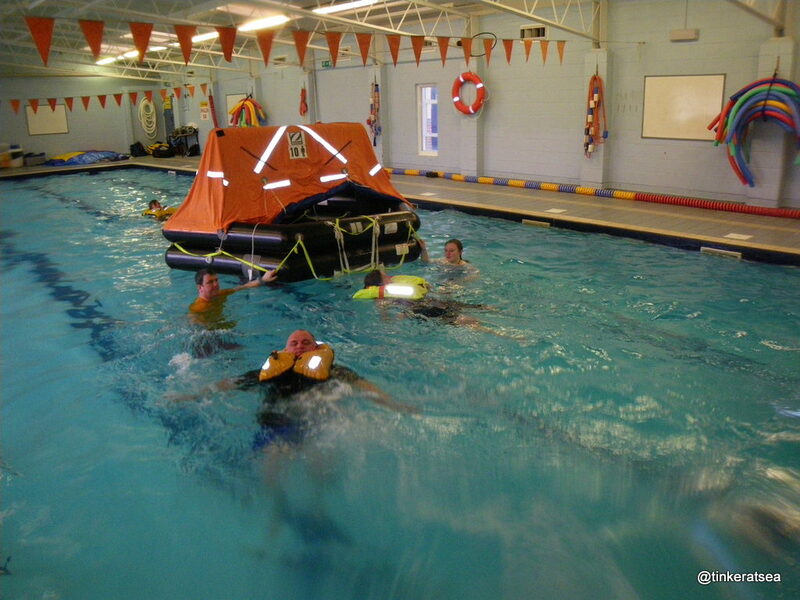 A life raft was brought into the pool and inflated – it was quite an impressive sight to see, if a little out of place. 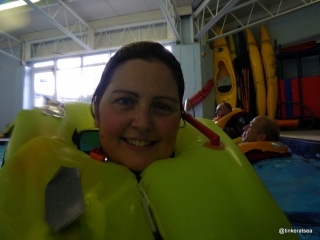 The first task was for half of the group to enter the raft from the side of the pool. These were large, 10 man rafts, but with eight or nine people in them, they already felt extremely crowded. Already the realisation was growing that these were not things you wanted to spend much time in if you could in any way prevent it. 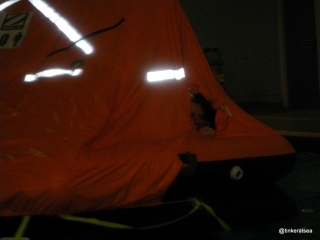 The next task was to swim to the liferafts, clamber in (no easy task) and then run through the procedures that had been drilled into us that morning – cut the (imaginary) painter, stream the drogue, close the doors (after checking that everyone was onboard) and maintain the raft. It was extremely cosy inside, and the heat generated from the 8 of us was incredible. It was a bit like being inside a bouncy castle – if one person moved, everyone else tended to roll towards that person and we were in a liferaft in a swimming pool. 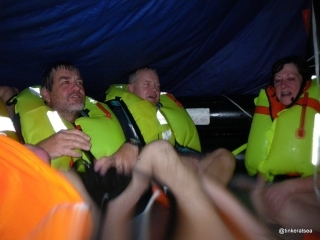 The conditions in which you would usually have to take to a liferaft for real would have made spending any time in a raft extremely uncomfortable. To try and give us a ‘taste’ of what it might be like in rougher conditions, the other half of the group were given the task of creating ‘weather’ and waves. Although we all had a lot of fun whilst doing the course, at the back of our minds was how different all this would be in a real life situation, when the weather and sea state would probably be horrendous. If nothing else, the message ‘Fight the Ship’ that had been drilled into us that morning kept springing to mind – if there is any chance of staying with your boat you should do whatever you can to keep that boat afloat. It is a bigger target on the sea for any rescuers to spot you, carries far more supplies than a liferaft, and will give you more protection from the elements. After all that excitement, we still had a week of sailing ahead of us. 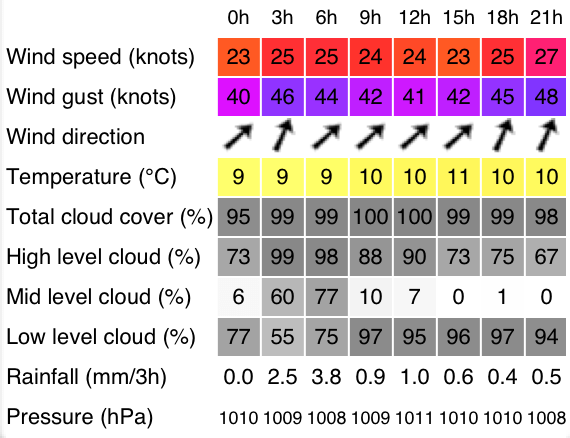 Looking at the forecast, there was going to be a lot of weather around for the next 7 days in the form of high winds and rain. It was time to head down to the marina and meet up with our Skipper for the week and find out what was in store for us for the rest of the week.